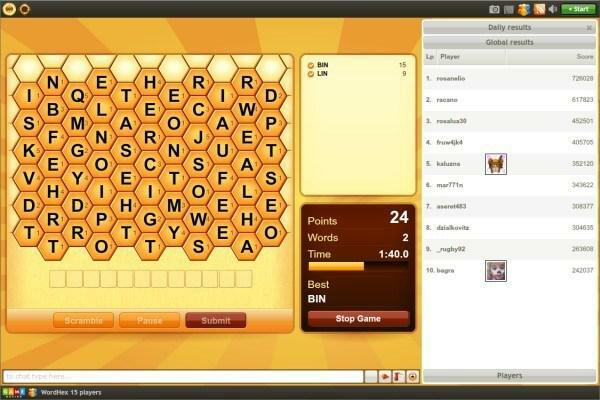 WordHex by GameDesire - Invite your friends and play free online word game! 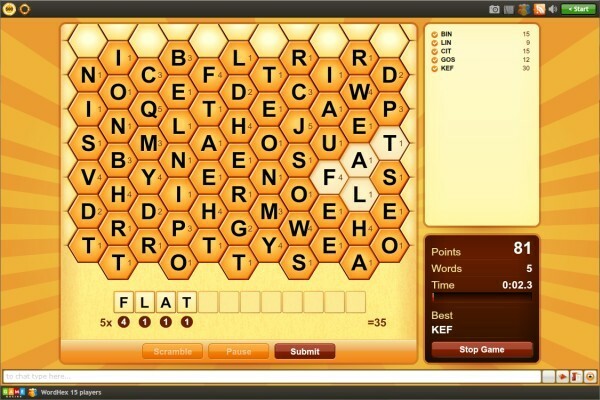 In WordHex a player has to look for words that are from 3 to 12 letters long. 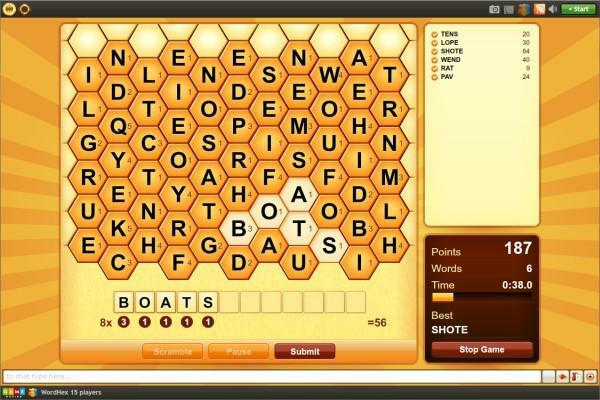 There are hexagonal fields in the board, which is like a honeycomb. 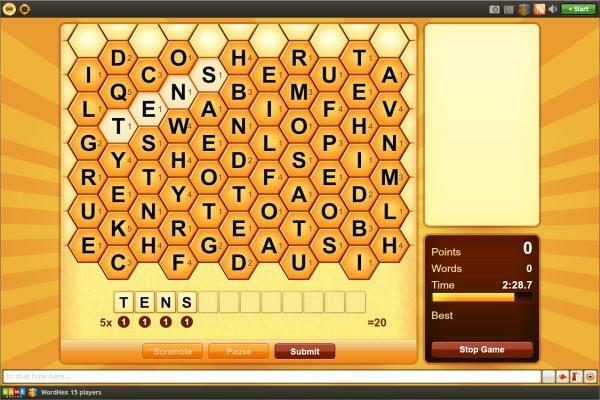 Your objective is to find words hidden in the hexagonal grid. Words must be at least 3 letters long. Click the first letter of your word and move in any direction to the second letter and so forth, until you reach the final letter of the word. Then let go of the mouse button and press "submit." If the word exists in the dictionary, the letters are replaced and you earn points. More difficult letters and longer words earn more points.